Kari's Law requires direct access to 9-1-1 service from a telephone system that provides outbound dialing without having to first dial a prefix or other access number or code. The law also requires all capable Multi-Line Telephone Systems (MLTS) to be programmed to send notification of a 9‑1‑1 call to a central location on the premises of the site a 9-1-1 call is placed. The law represents the culmination of efforts in the aftermath of the murder of Kari Hunt in a motel room in Marshall, Texas. 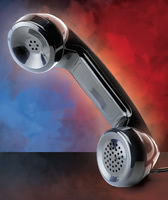 Ms. Hunt’s 9-year-old daughter tried to call 9-1-1 for help four times from the motel room phone. The call never went through because she did not know to dial 9 for an outside line before dialing 9-1-1. For more information about Kari's Law, visit www.csec.texas.gov/s/9-1-1-program.